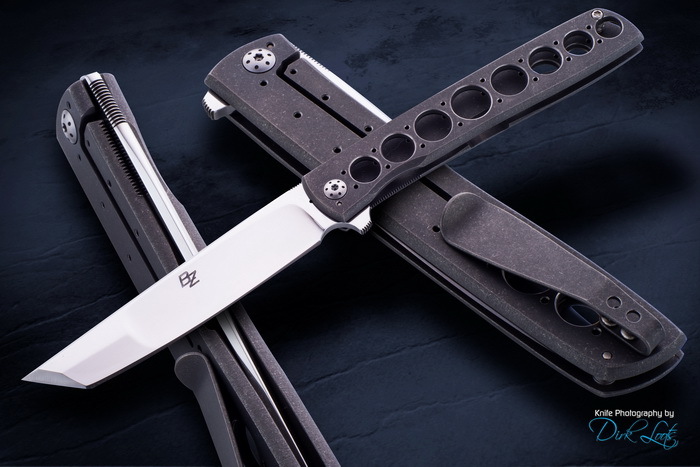 Brad Zinker signature Urban Trapper framelock flipper is an ultralight at 1.7 ounces This Titanium framelock flipper has a 4.187-inch duplex hollow ground tanto blade of CPM 154 high carbon powder metallurgy stainless steel. The already lightweight Titianium frame is lightened further with graduated holes, front and back. The short Titanium clip is tip up and right hand, shaped with a distinctive flair. Brad Zinker is a passionate, spare time knifemaker from Homestead, Florida, who started his first knife in 1984. He is a voting member of The Knifemakers’ Guild and The Florida Knifemakers Association.